We've done some research and talked to our retailer friends, and what we've learned is that the finseal packs that we usually put Munchkin boosters in aren't as easy to display on the shelf as they could be. So we went back to the drawing board on packaging for them, and now we're going to start releasing boosters in a hanging blister pack, so that retailers can hang them with our expansions. 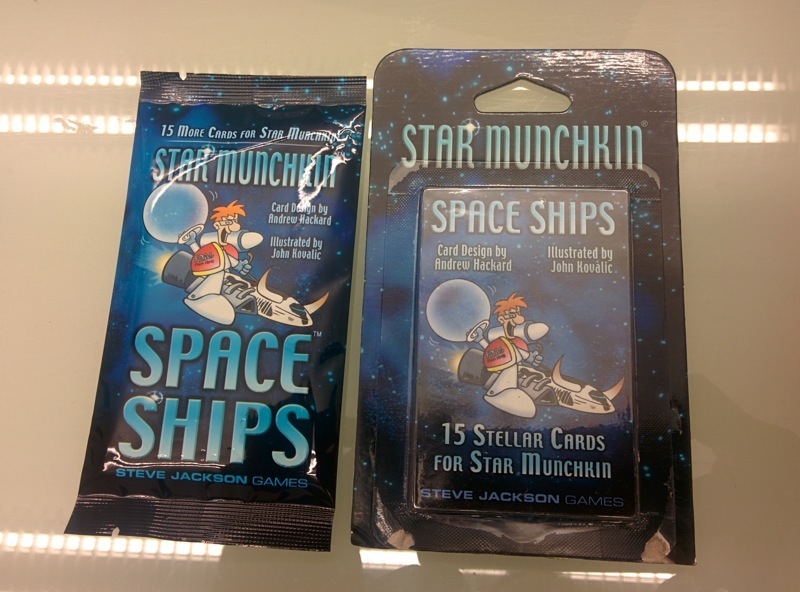 You'll see this first with our reprint of Star Munchkin: Space Ships in June. Check out the picture if you want to see a side-by-side comparison; the one on the left is the old packaging, and the new packaging is on the right.